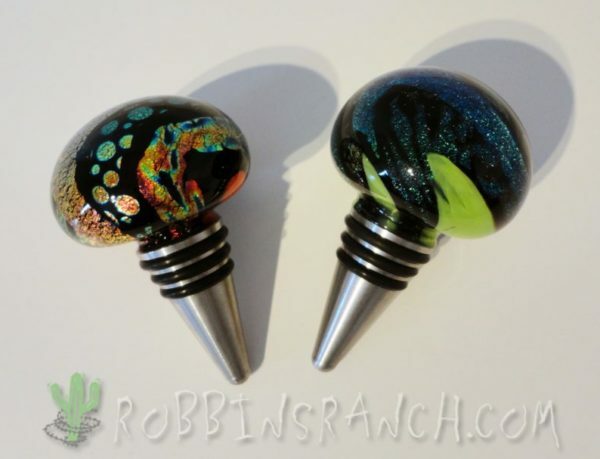 These hand blown glass bottle stoppers are the perfect gift for the person who has everything. 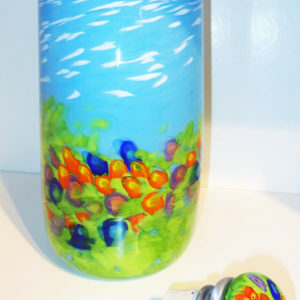 Wine connoisseurs and glass lovers can both enjoy these fine art pieces. Each one is unique. Hand made from molten clear furnace glass and layers of concentrated glass colors. 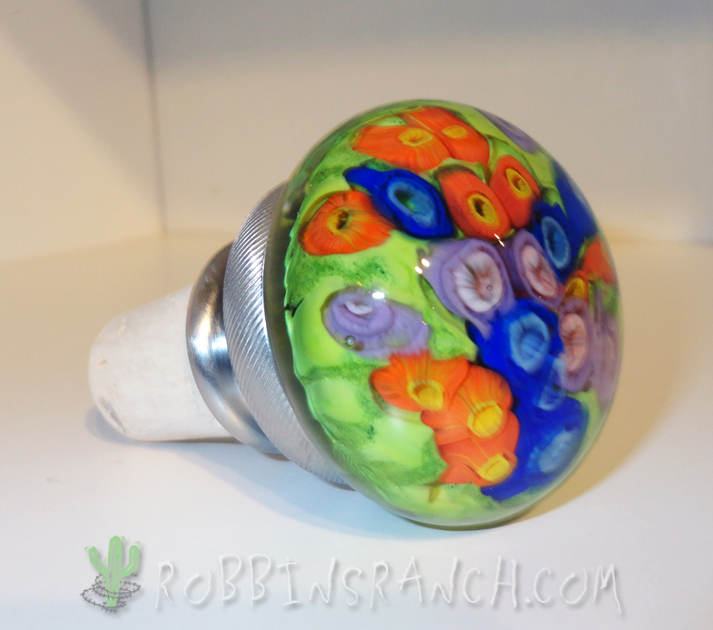 Our bottle stoppers are available in 4 basic designs… Solid Colors, Mixed Colors, Dichroic and Murrine Flowers. The small stopper is 1.5″ diameter. We attach the glass to a solid stainless steel cone. The large stopper is 1.75″ diameter. It is then set in a solid brushed stainless steel collar that has a more traditional cork attached. 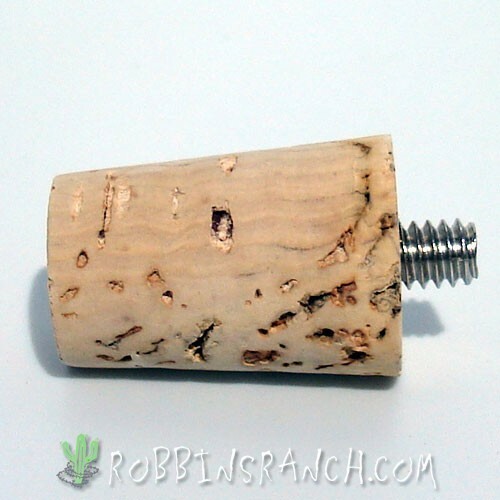 A threaded screw embedded in the cork, allows you to remove and easily change out the cork if it should ever wear out. 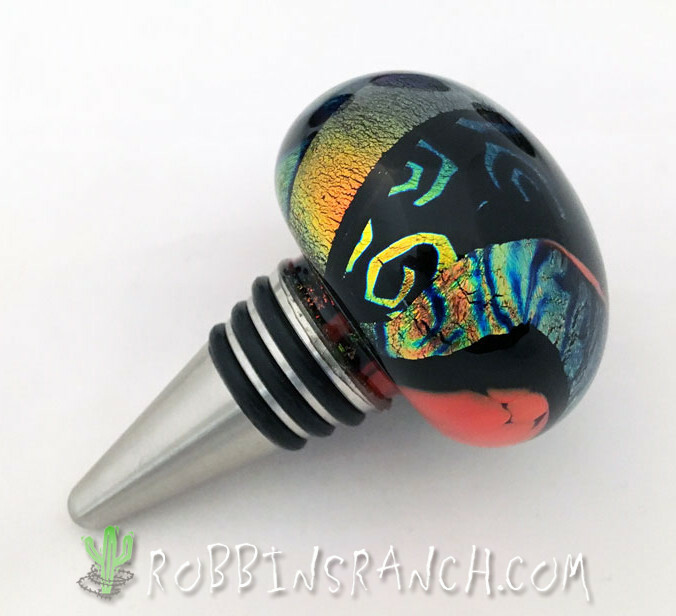 The bottle stoppers shown here are basic samples of the colors and designs that we make. Please visit our color samples page for other options.